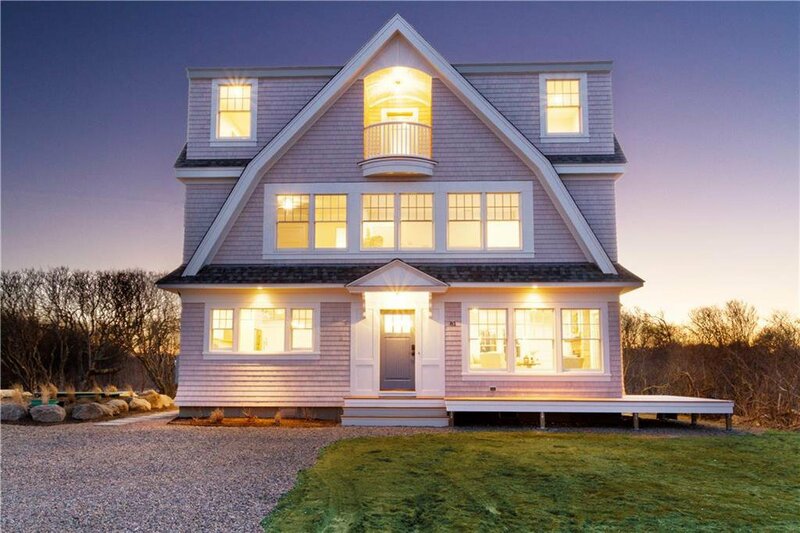 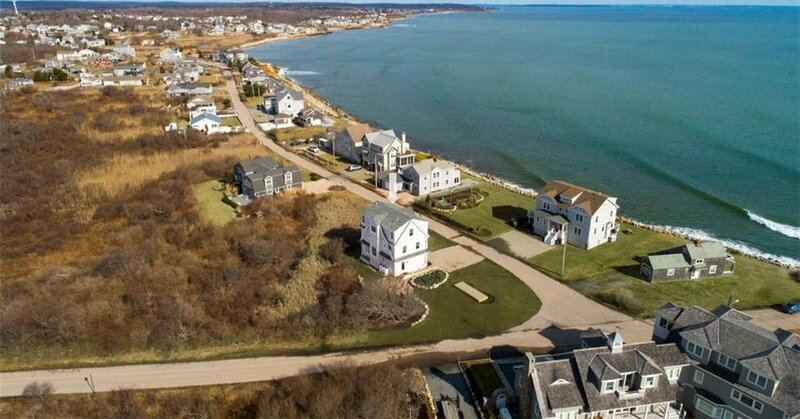 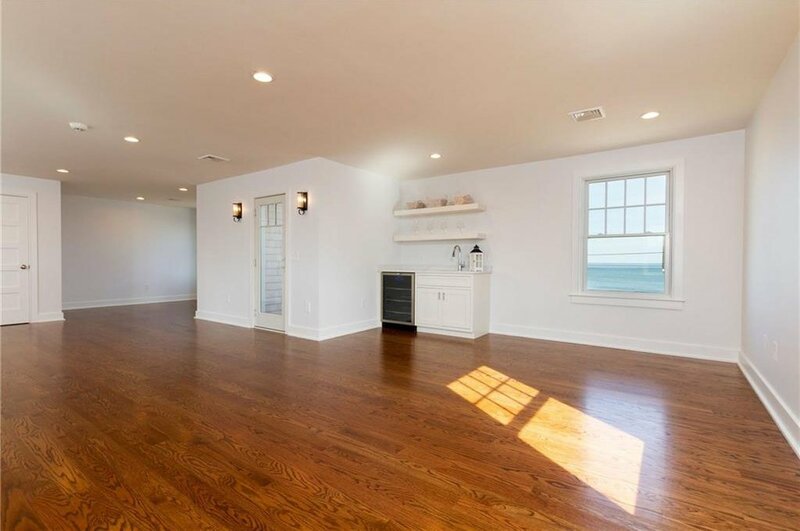 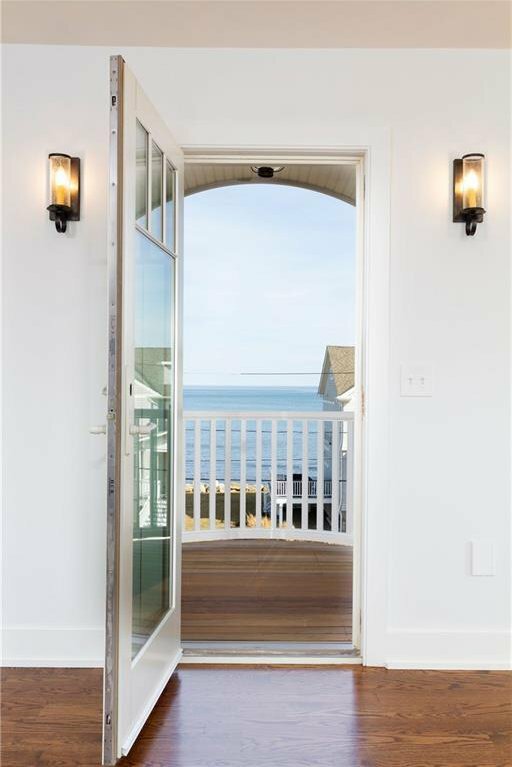 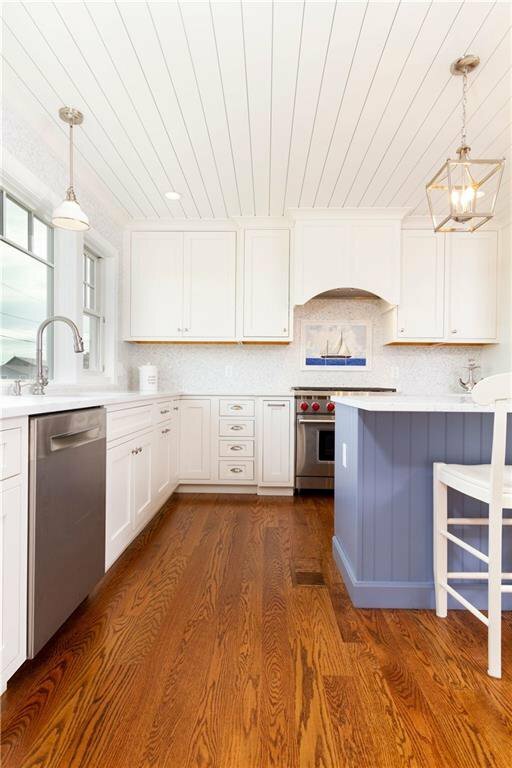 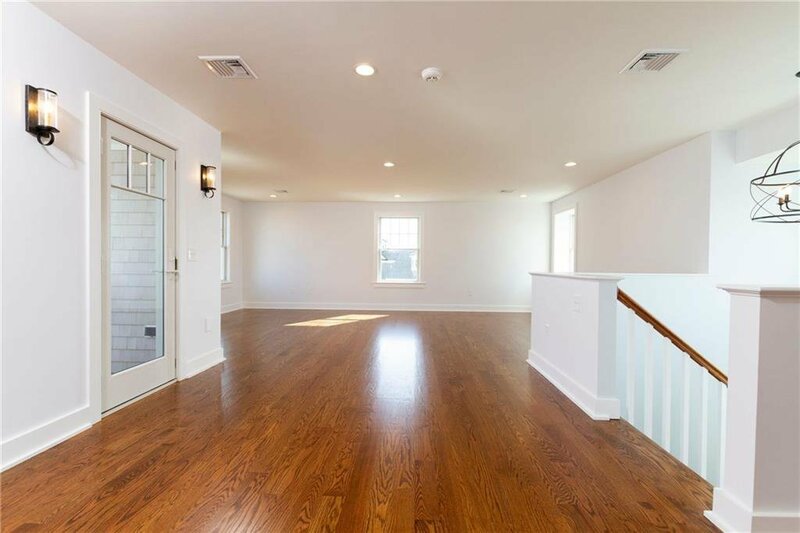 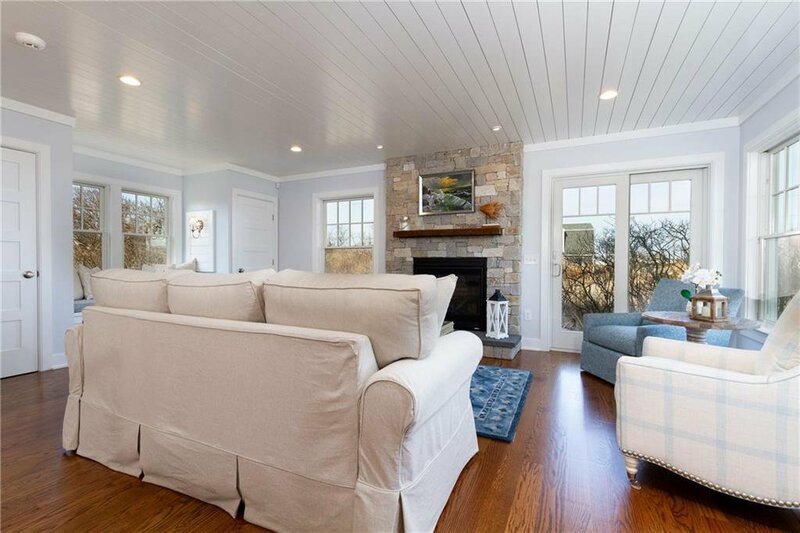 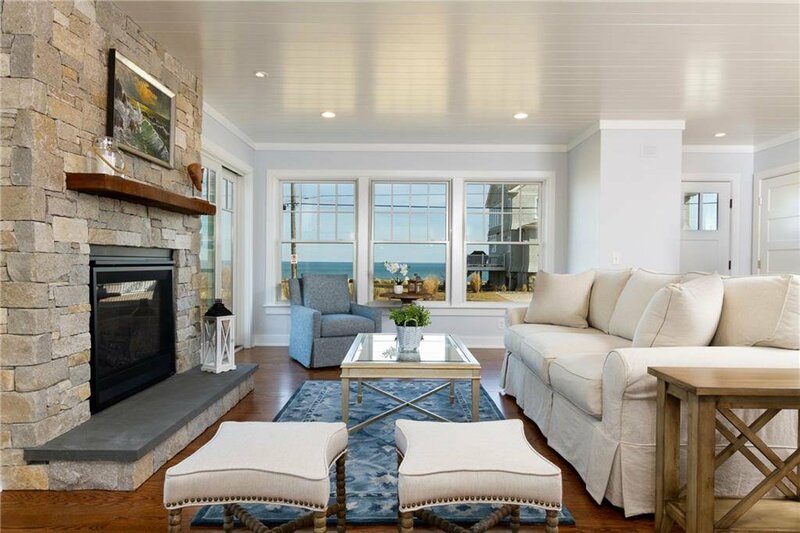 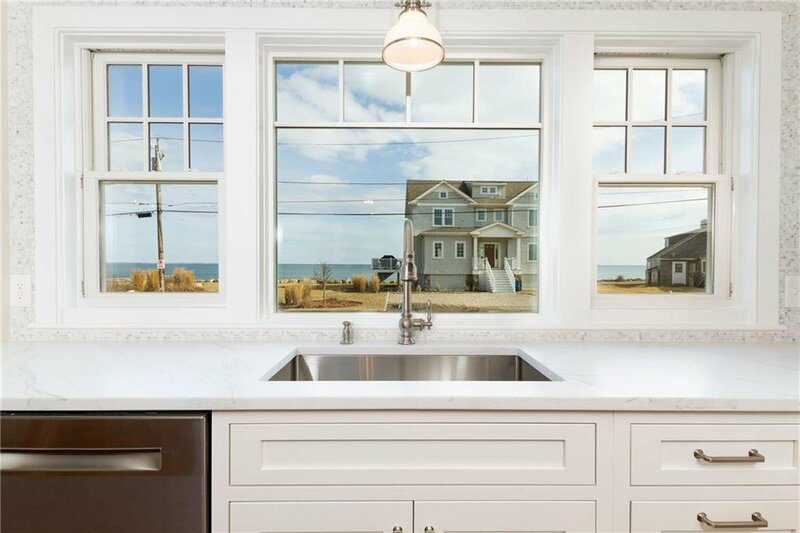 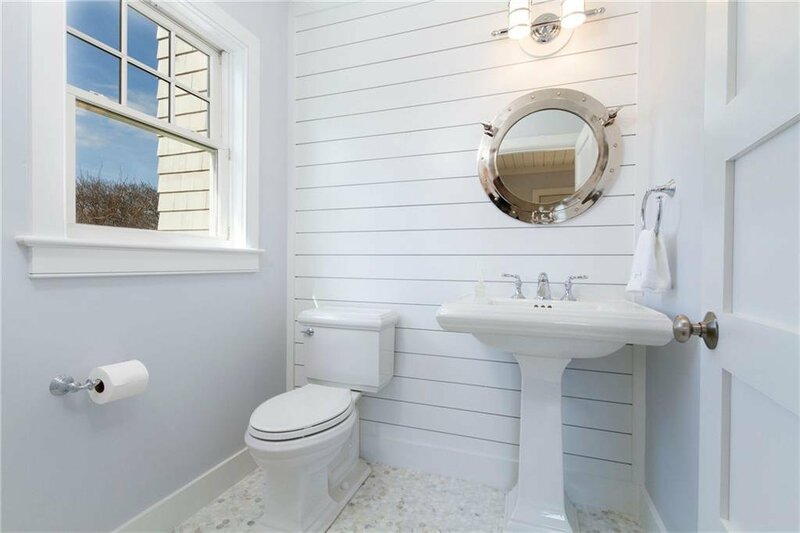 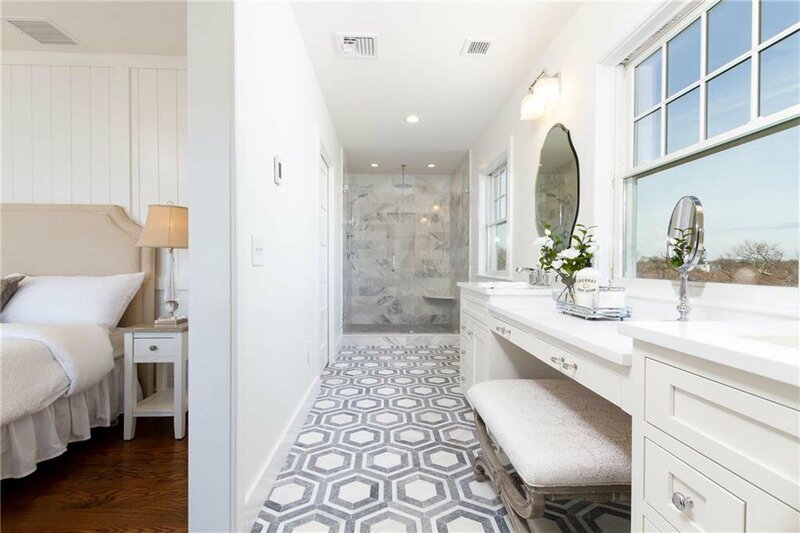 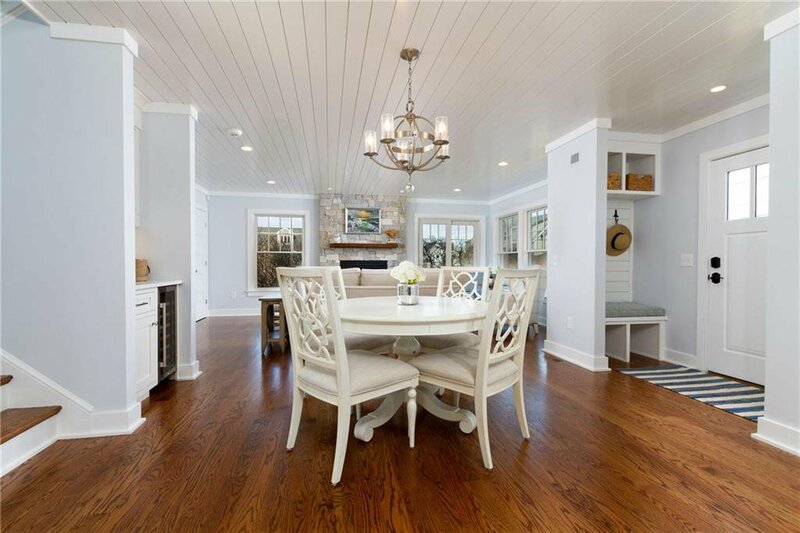 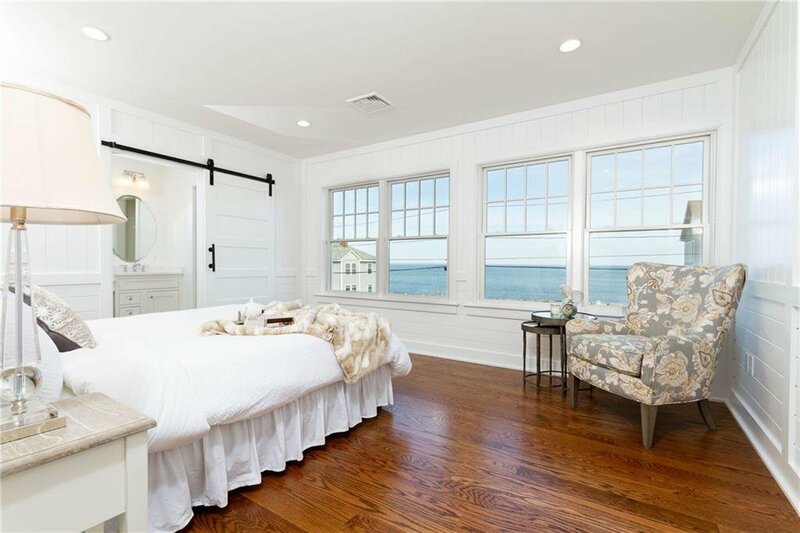 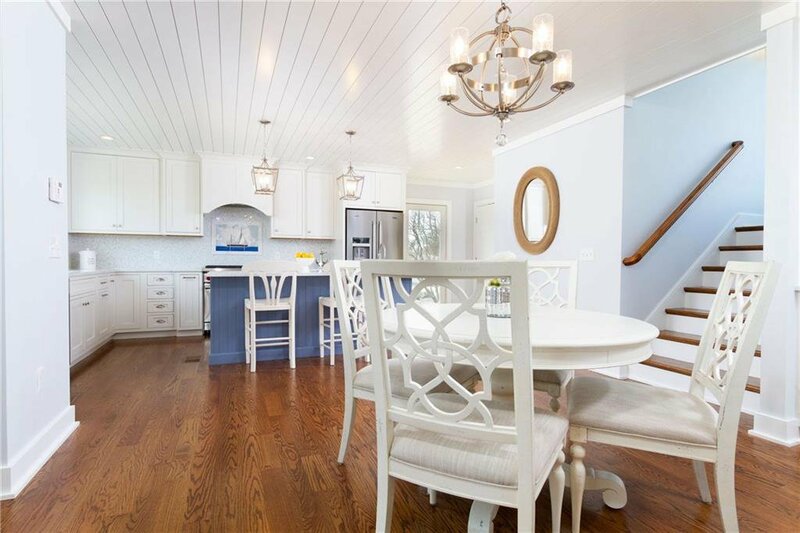 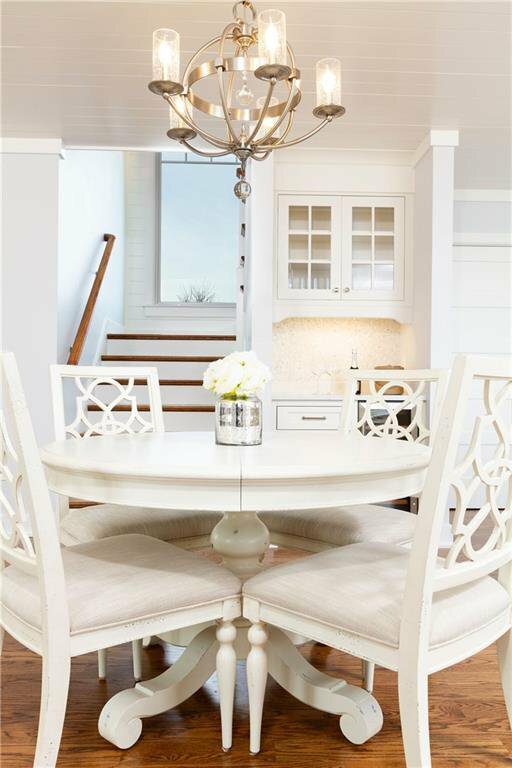 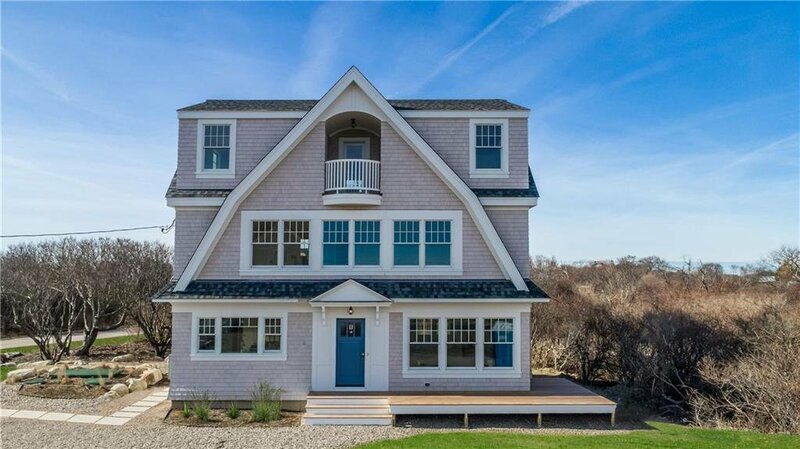 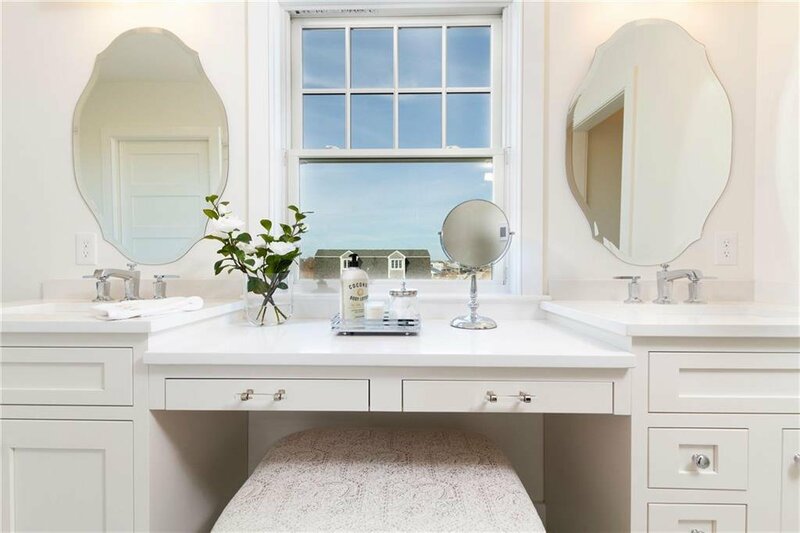 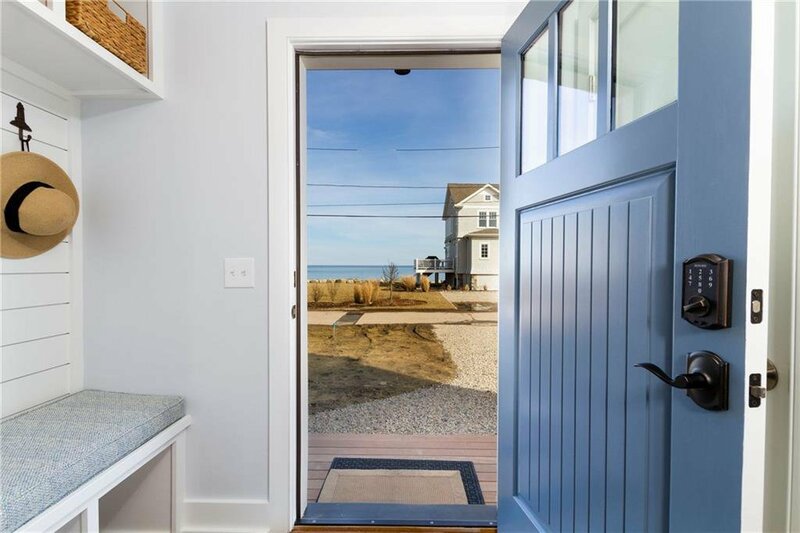 Coastal Elegance at its finest complete w/ PANORAMIC OCEAN VIEWS spanning from the Newport Bridge to Block Island from this NEW CONSTRUCTION home! 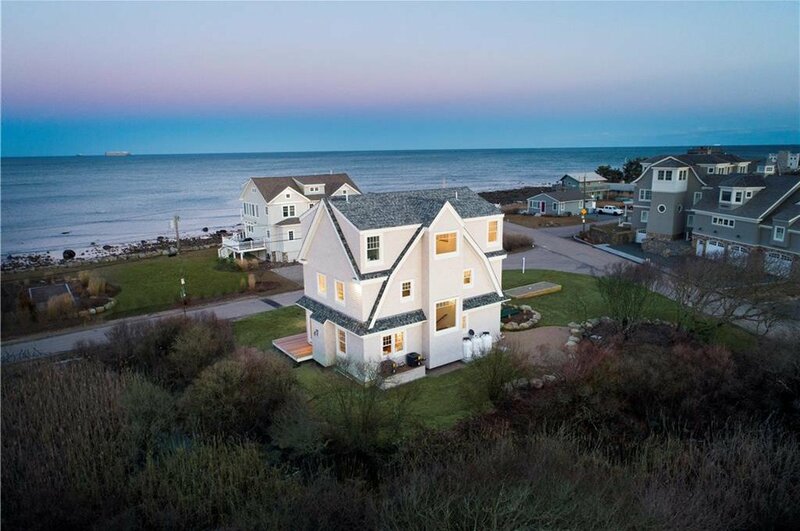 Watch the sunrise over the waves just steps from your front porch, & the sunset over the water beyond your backyard. 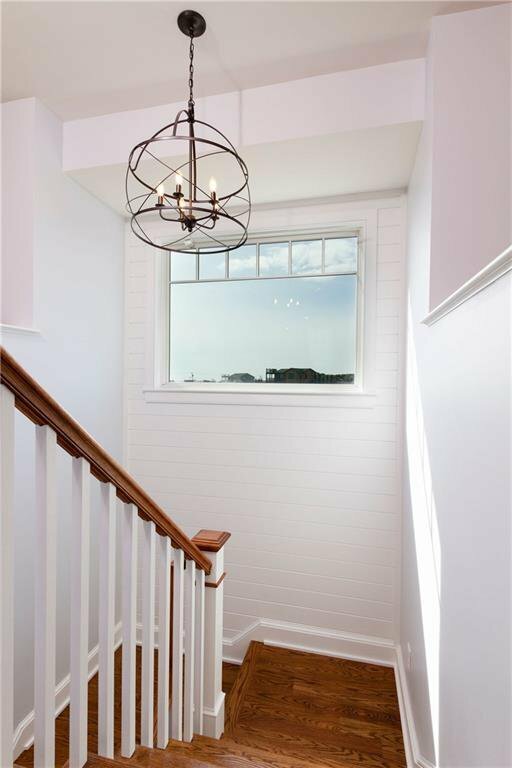 Ship lap ceilings & walls, gorgeous light fixtures w/ seeded glass, tile & marble are just a few of the elements that were carefully selected. 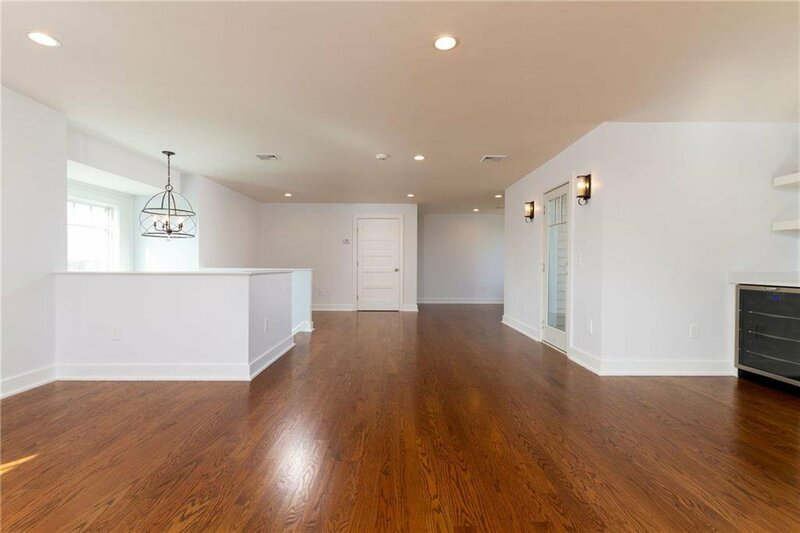 An open floor plan makes entertaining a breeze! 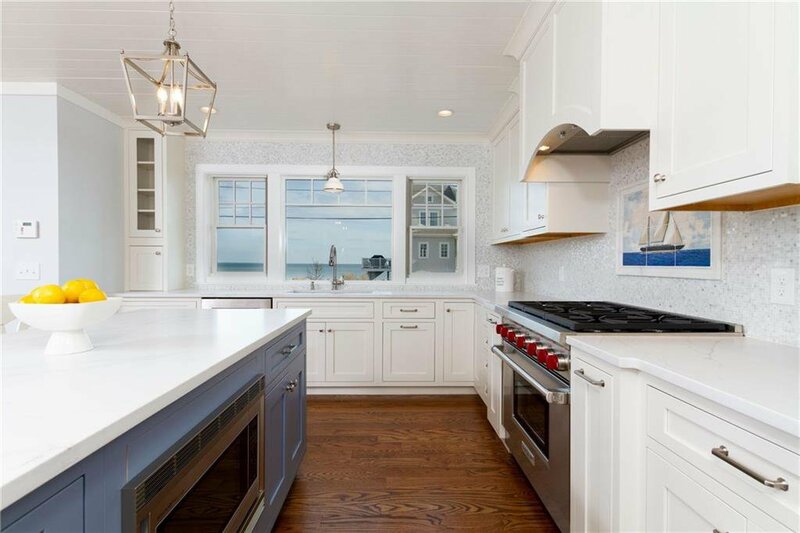 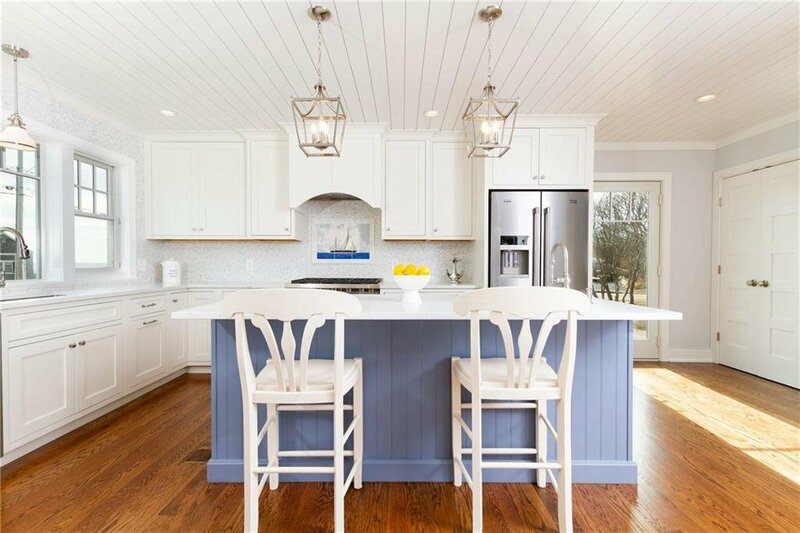 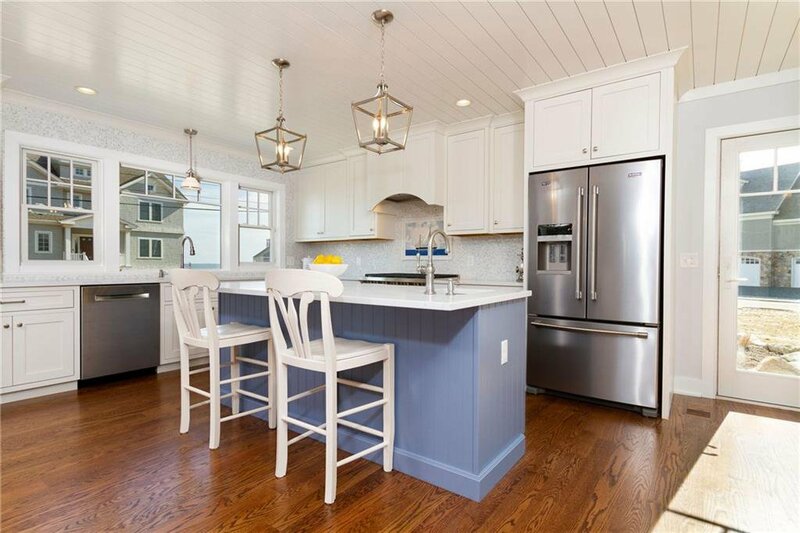 Come together in your gourmet kitchen featuring well appointed appliances, Quartz counter-tops, marble back-splash w/ a hand painted nautical scene, and a large kitchen island in the perfect shade of blue! 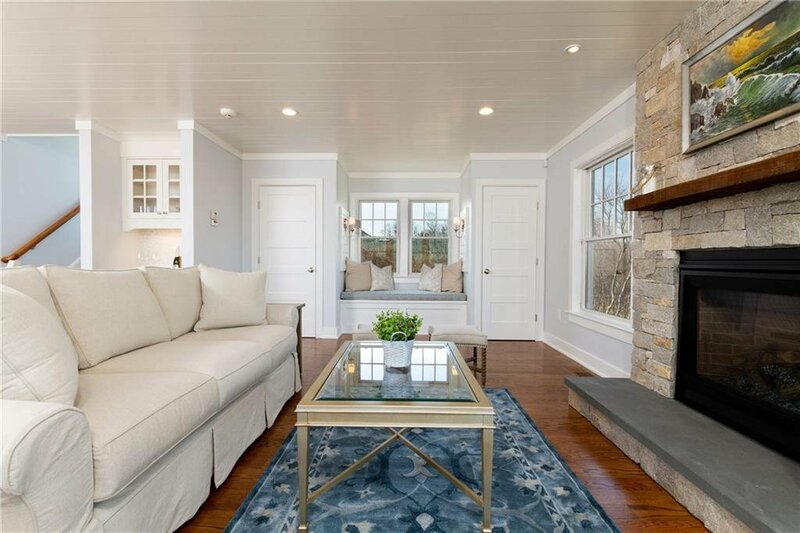 The living room is complemented by a beautiful stone fireplace and offers the perfect window seat to soak in the scenery! 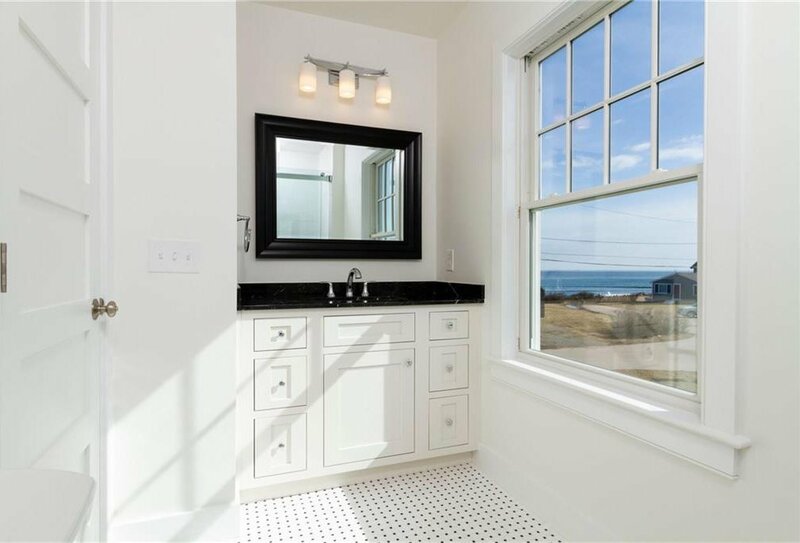 As you ascend to the stairs, the westerly views framed by the expansive picture windows will take your breath away. 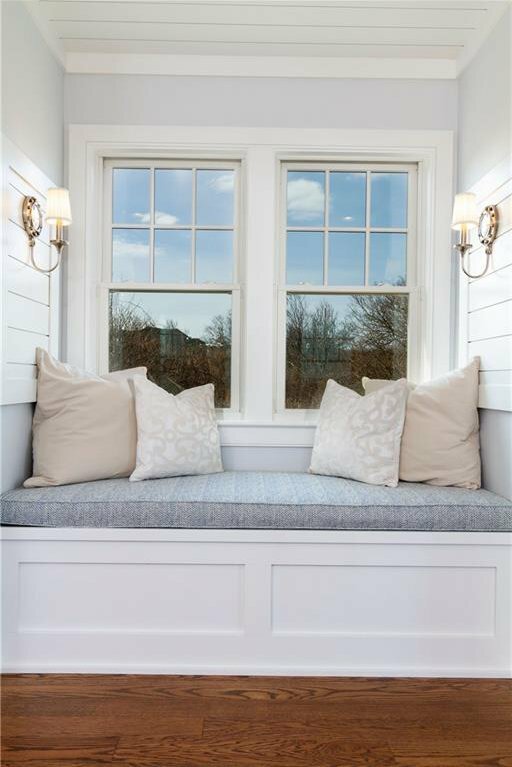 Windows everywhere blur the lines between indoor & outdoor living spaces & beckon natural light to pour in. 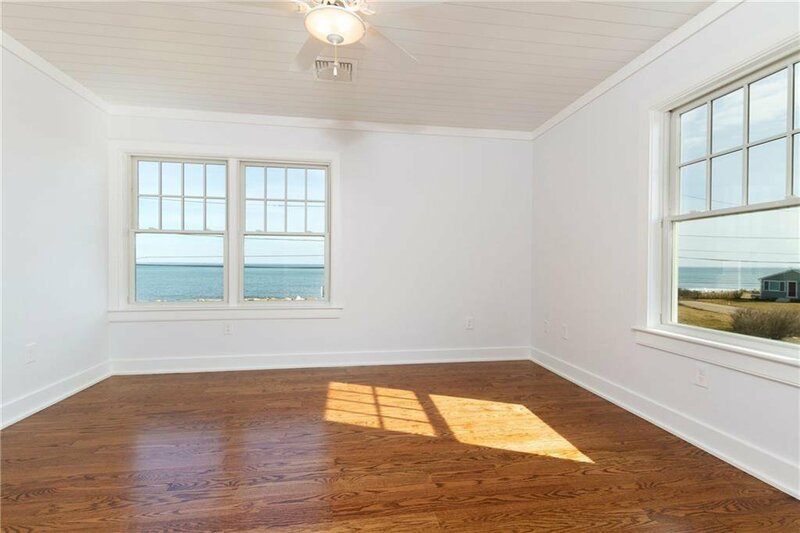 The second floor offers two bedrooms, with spectacular ocean views! 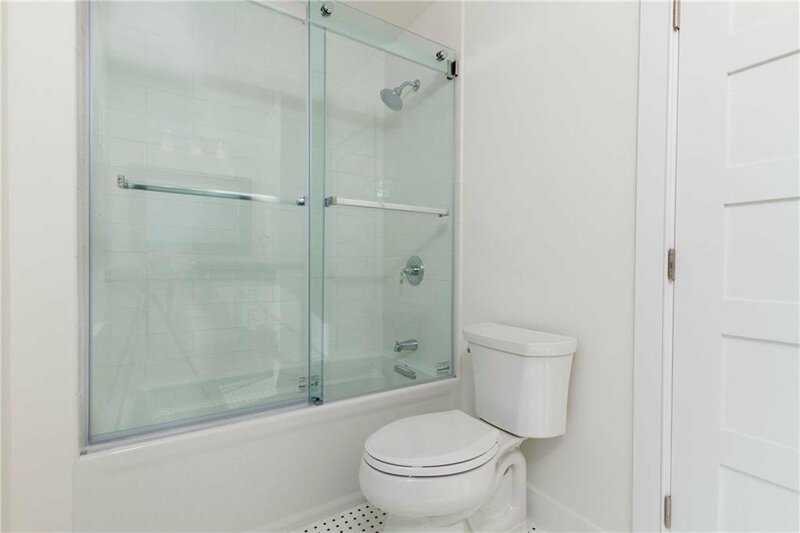 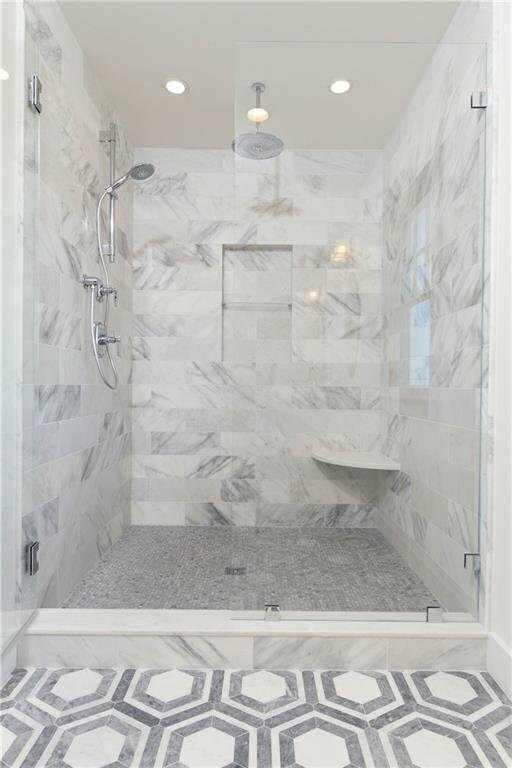 An en-suite master with the bath of your dreams is highlighted with marble floor & an over-sized walk-in rain shower. 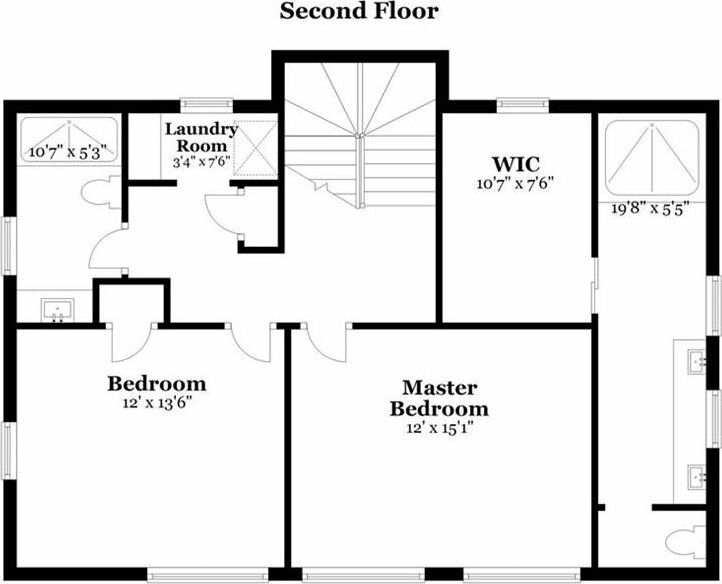 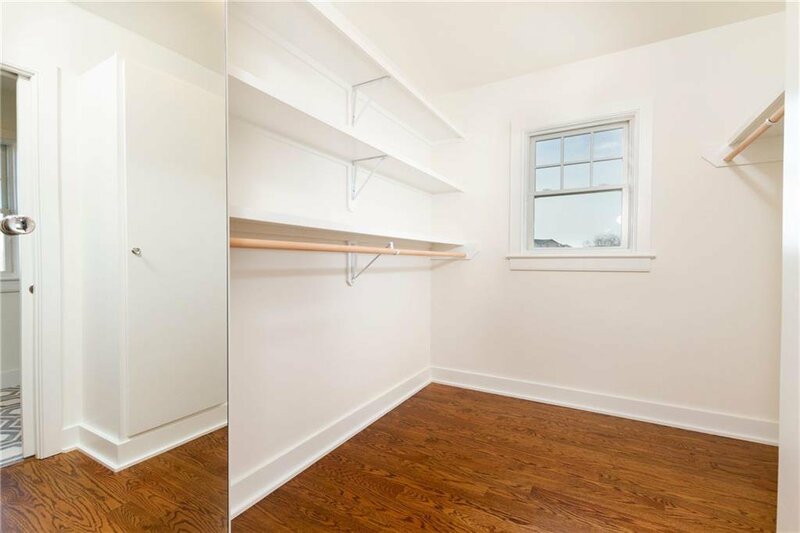 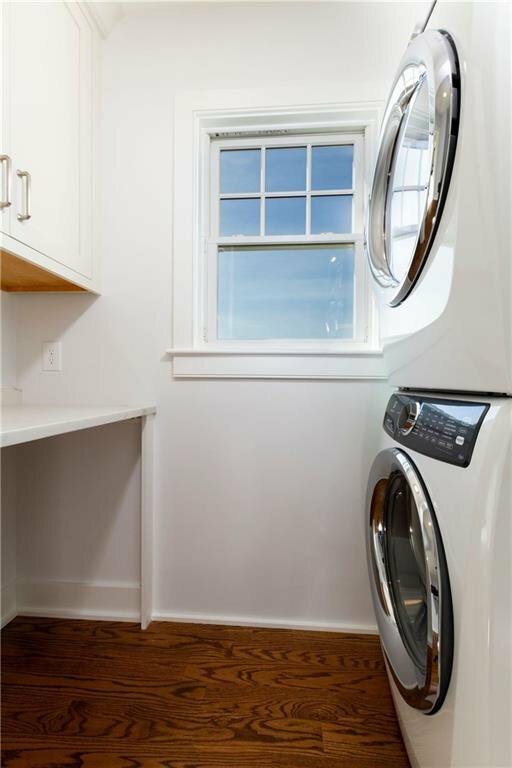 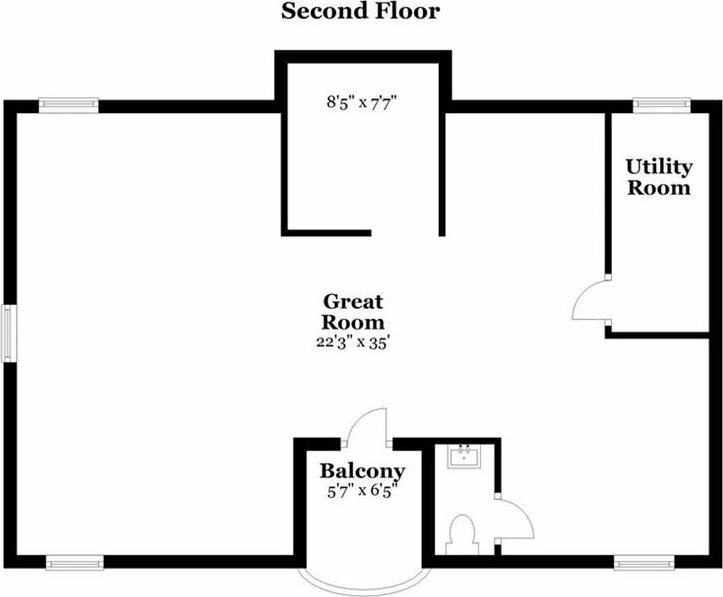 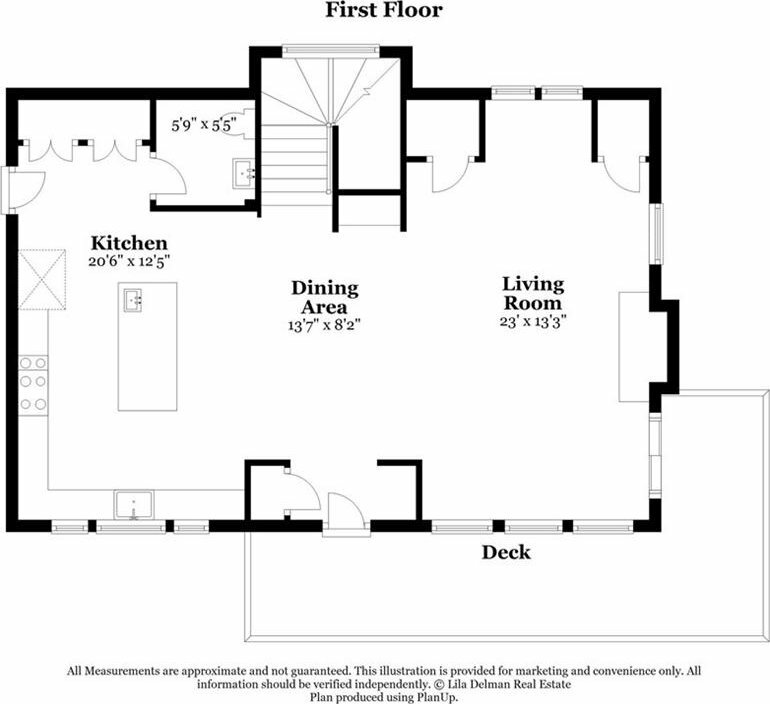 A third floor with half bath & wet bar offers endless possibilities for space to accommodate friends and family alike. 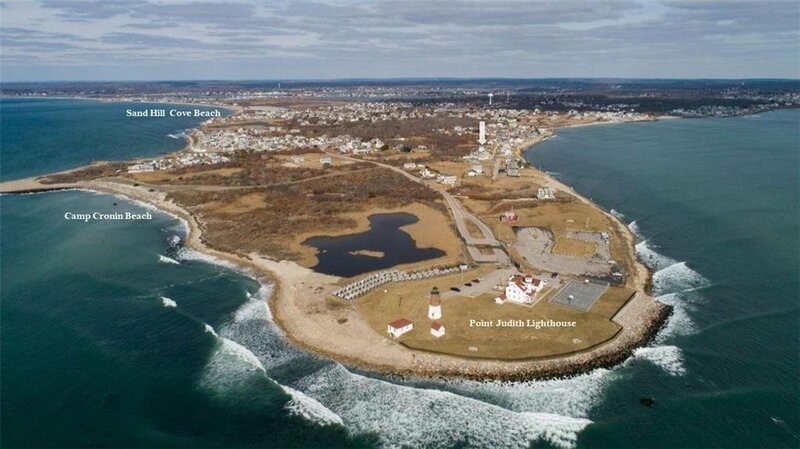 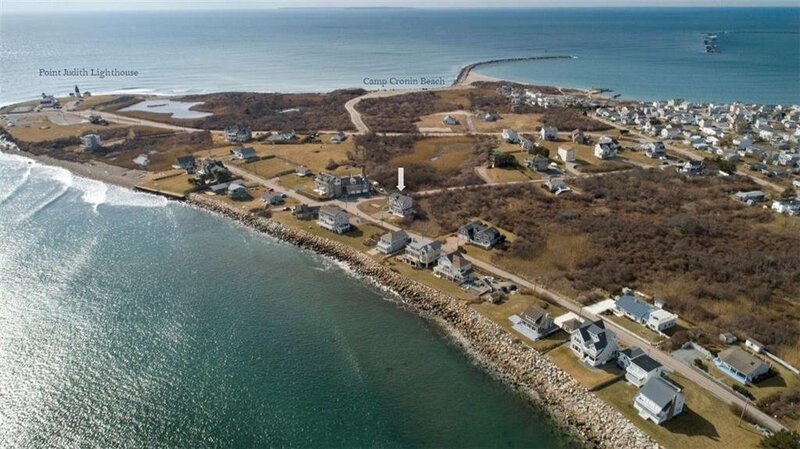 Located in the seaside community of Point Judith, minutes to several area beaches, the Block Island Ferry, & Narragansett Pier. 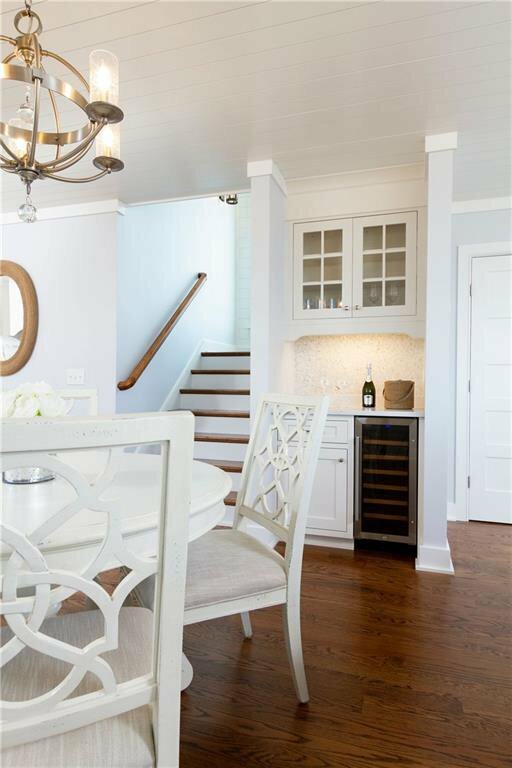 This is the perfect place to make memories of a lifetime!